This January, the House Rhetoricians of the 112th Congress started their climate denialist work with great passion. Representative Fred Upton (R–Michigan), chairman of the House Energy and Commerce Committee, told Fox News that the GOP–led House won’t “let this administration regulate what they’ve been unable to legislate.” This is fine rhetoric—on one hand he is referring to the Obama administration’s failure to pass a climate bill last year, and on the other he is talking about his plan to undo the Environmental Protection Agency’s authority to establish stricter greenhouse gas emission standards for power plants and oil refineries. It might come as a great surprise to these Rhetoricians that their actions are contributing to the demise of a favorite Christmastime story that they, their friends, and their families most likely told their children, grandchildren, and great grandchildren last month during the holiday season. Last month, hundreds of millions of parents all over the world (mostly Christian and some non–Christians) told their little ones the story of Rudolph the Red–Nosed Reindeer, who carries Santa Claus around the world in a sleigh to deliver gifts to good boys and girls. However, Rudolph’s family members are dying in large numbers all across the Arctic due to global warming. If the actions of the House Rhetoricians are allowed to play out this year, Rudolph won’t be here much longer to carry Santa around the globe. What story will they tell their children then? You might think the Rudolph and Santa story is fictional. Not entirely so. 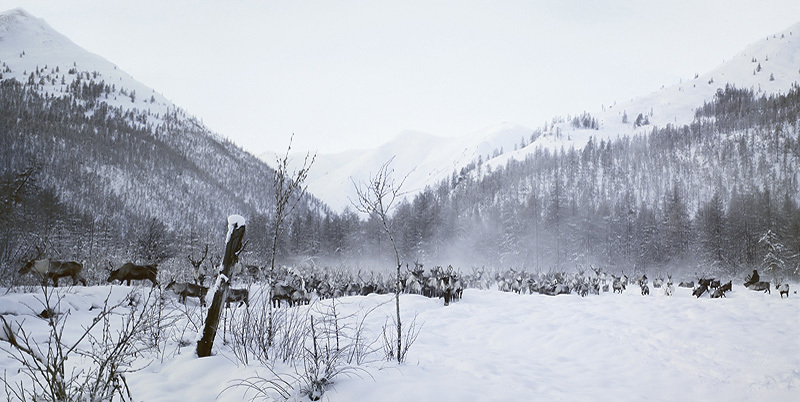 Cambridge University anthropologist Piers Vitebsky, in his beautifully written book The Reindeer People: Living With Animals and Spirits in Siberia, suggests that the origin of the story has its roots in Siberia. The story goes that the shamans among the reindeer herders in Siberia were able to fly with reindeers to look over a herd to monitor the health of their herd. During the communist era, the Soviets performed an experiment to validate the story. They gathered the Siberian shamans en masse and put them inside helicopters and pushed them out of the flying machines, saying to them, “You know how to fly, so you’ll survive.” The shamans perished, just as the Soviets expected, and they achieved their goal—of attempting to wipe out all organized religions, including shamanism—at the same time. During November 2007, I camped in the Verkhoyansk Range with reindeer herders from an indigenous Even community in Siberia. I did not see anyone fly with reindeers, but each morning when the temperature would hover around minus 65 degrees F, I’d see Nikolayev Matvey, who was head of the camp where I stayed, ride off effortlessly on the back of a reindeer and disappear into the white distance. It took only a small leap of imagination to believe that he was not riding, but perhaps flying, just like Rudolph and Santa. The Rudolph and Santa story is alive due to an oral storytelling tradition, but now this culturally relevant story is struggling for survival because it is faced with an uncanny connection with the real. Santa’s home is melting away from beneath his feet and Rudolph’s family members are dying in large numbers—all due to global warming. During the winter of 2001, I camped for extended periods of time in the Arctic National Wildlife Refuge with Robert Thompson, an Inupiat hunter and conservationist from Kaktovik. In many windblown areas, Robert would kick his boots into the ground and exclaim, “I’ve never seen this before.” It was solid ice on the tundra. Later, we learned from biologists that this is due to unusual freeze–thaw cycles caused by global warming. After the snow falls in August and September, the Arctic historically enters the winter season with temperatures that stay steadily below freezing for nearly eight months. However, with the warming of the Arctic, during winter months the snow melts at times and there occasionally is winter rain followed by freezing temperatures. The resulting ice on the tundra encases the food source of a variety of Arctic animals. Caribou, of the same species as reindeer (Rangifur tarandus), are able to dig through snow with their hoofs to find food during winter months, but their hoofs are not strong enough to break through ice to access food. They’re starving and dying in large numbers. During the winter of 2005, an estimated 1,000 caribou made a 250–mile journey from the Teshekpuk Lake area to the Arctic National Wildlife Refuge—from central to eastern Arctic Alaskan. Neither the scientific nor the local indigenous community had seen anything like it before. They speculated that the food source had frozen in their usual wintering ground and the animals were looking for food. As it happened, the tundra in the Arctic National Wildlife Refuge had also frozen, resulting in death by starvation of several hundred caribou. The following summer, Robert and I found a nearly perfect skeleton of one of those dead caribous on Barter Island near Robert’s home. There is much talk about ‘climate refugees’ as it relates to peoples’ migrations, but this is an example of climate refugees as it relates to animals’ migrations forced by climate change. To illustrate the extent to which caribou and reindeers are impacted by climate change, I’ll briefly share with you the life cycle of the Porcupine River herd. These caribou live in the Arctic National Wildlife Refuge in Alaska and in the adjacent Yukon and Northwest Territories in Canada. Caribou mate during October and then settle down at their wintering grounds, making little movement until April, at which point the pregnant females begin their annual migration to the coastal plain where they will give birth. The journey begins: a several hundred miles long strenuous walk over frozen rivers and high mountains. These pregnant females are likely quite weak, as they may not have eaten well due to the icing of their food source. The Arctic is technically a desert, usually with about 8 inches of annual precipitation. But due to global warming, there is now more open water in the Arctic Ocean, causing an increase in moisture in the air. In conjunction with this, warmer air holds more moisture than cooler air. As these factors combine, more snow falls in the Arctic, making the caribous’ journey much harder as the animals must plow through deeper snow than in the past. Now, in some years, the caribou are unable to reach their traditional calving grounds and are forced to give birth in less than ideal places where the calves are more vulnerable to predation. Also due to deeper snow, the animals spend more energy digging for food, which further weakens them. Regardless of where they bear their calves, the caribous have an eternal urge to go to the coastal plain to find nutrient–rich cotton grass that they must eat in order to build the milk they need to nurse their calves. But this journey has become harder, too, as there is more spring water in the rivers because of more snow, and many calves are drowning while trying to cross the raging rivers. On the tundra, warmer temperatures hatch more insects. The Arctic’s infamous mosquitoes can draw a pint of blood each day from a calf, resulting in even more calf deaths. The caribous are returning with fewer and fewer calves. 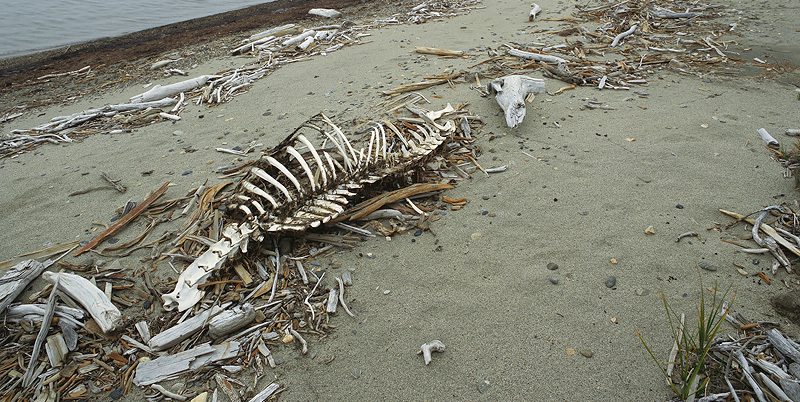 As you can see, global warming is impacting every aspect of the caribous’ life cycle. The number of animals in the Porcupine River caribou herd has declined steadily at 3.5 per cent per year since 1989—from 178,000 animals to a low of 123,000 in 2001. After eight years of unsuccessful census attempts, finally in 2010 a census was successful. It is thought by caribou biologists that the population has declined since 2001. Results of the 2010 census will be published soon. Anyone who knows something about caribou or reindeer will tell you that an individual herd population can go up and down over the years. But there is something strange happening now: Simultaneously, most of the caribou and reindeer herds across the Arctic are on a steep decline. Ed Struzik, reporting on this global decline in Yale Environment 360, wrote last year, “Thirty–four of the 43 major herds that scientists have studied worldwide in the last decade are in decline, with caribou numbers plunging 57 percent from their historical peaks.” Some of these declines have been so severe that it’s threatening extinction. The Peary Caribou, a small sub–species found in the high Arctic of Canada’s Nunavut and Northwest Territories, have fallen from more than 40,000 animals in 1961 to about 700 in 2009—a 98 percent decline. Scientists have also identified the main culprits for such rapid decline—Arctic warming and unprecedented resource development projects, including oil and gas, coal, and other minerals, in the caribou habitat. A New Kind of Buffalo Slaughter? This, however, is not the first time that a large ungulate species is being sacrificed to support the way of life of the dominant culture. When Europeans arrived in the New World, an estimated 50 million American bison, commonly known as buffalo, roamed throughout the continent from Canada to Mexico, from the American West to the Appalachian Mountains in the East. But during the nineteenth century, in short order, the Euro–Americans slaughtered these animals en masse, bringing the population down to a few hundred. They killed these animals primarily for their skins, leaving behind the flesh to rot. The US Army sanctioned and endorsed such mass slaughter. Scholars have suggested that one of the primary reasons for this was to destroy the cultures of the Native Americans, who depended on the buffalo for food and their cultural and spiritual survival. The theory was simple—if we kill the buffalo, we kill the Indians, as they’ll starve and will be forced to accept reservation life confined within a specific boundary that the US military could monitor easily. This plot by the US government worked, and it is expressed poignantly in a statement by Plenty Coups, the last great chief of the Crow Nation. Toward the end of the nineteenth century, Plenty Coups shared his sentiment with an outsider: “When the buffalo went away the hearts of my people fell to the ground, they could not lift them up again. After this nothing happened.” Philosopher Jonathan Lear of the University of Chicago wrote a fascinating book a few years ago titled Radical Hope: Ethics in the Face of Cultural Devastation. He opens the book with Plenty Coups’ statement and for the rest of the book makes philosophical inquiries into the last line, “After this nothing happened,” with regard to strategies for cultural survival. Sarah James, one of the founders of the GSC, wrote in the anthology Arctic Refuge: A Circle of Testimony, “We are the caribou people. Caribou are not just what we eat; they are who we are. They are in our stories and songs and the whole way we see the world. Caribou are our life. Without caribou we wouldn’t exist.” Sarah’s statement expresses similar concerns as Plenty Coups’, and there is a key common ground in their strategies for survival, and it is collaboration. Plenty Coups collaborated with the U.S. government for the survival of his people that Lear calls ‘Radical Hope.’ Similarly, Sarah and the GSC have made strong collaborations with conservation groups, including the Alaska Wilderness League and the Wilderness Society, as well as with religious groups, particularly the Episcopal Church. Gwich’in activist Sarah James talking about caribou, climate change and Gwich’in culture. This video is part of Subhankar Banerjee’s photo—video installation first shown in Copenhagen in 2009 and currently in the group exhibition “(Re—) Cycles of Paradise” organized by ARTPORT and on display at the Centro Cultural de España in Mexico City through January 30, 2011. The GSC’s work was exemplary during the George W. Bush era, keeping the Arctic National Wildlife Refuge free of oil development. We might even say that by saving the caribou calving ground, they’re helping to keep the Rudolph and Santa story alive. What Story Will We Tell Come Christmas? Now that we know Rudolph’s family is in great trouble, the question is: What are we going to do about it? During late nineteenth century, conservationists worked hard and passionately to save the buffalo that were on the brink of extinction. Their efforts prevailed and the buffalo survived—barely. Where is the passion today about saving the reindeer and caribou—an icon of the north, and of Christmas? On Tuesday, President Obama signed an executive order and wrote an op-ed titled “Toward a 21st–Century Regulatory System” in The Wall Street Journal. Obama writes, “We’re also getting rid of absurd and unnecessary paperwork requirements that waste time and money. We’re looking at the system as a whole to make sure we avoid excessive, inconsistent and redundant regulation.” It’s not clear what specific actions will emerge from all this, but the question we must ask now: Is Obama heading toward what philosopher Avishai Margalit calls “rotten compromises” with the House Rhetoricians? Come Christmas, will President Obama tell Malia and Sasha the Rudolph and Santa story, or will he tell a different story? Will we take serious action this year on climate change so that all of us—including the House Rhetoricians and the Christian establishments of the world—can continue to tell the Rudolph and Santa story with a clear conscience, because we’ve taken steps to help Rudolph’s family members survive, for the sake of all of our children?